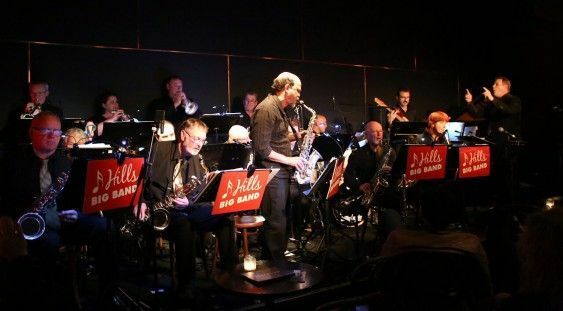 The Hills Big Band is here to get your Toes a Tappin’ on a Tuesday! With a repertoire that spans the ages, we have prepared a special program of music that includes Standards such as “Night and Day”, “Sway” and “Why Don’t You Do Right”, as well as some modern classics such as Arturo Sandoval’s “Sanding”, Buddy Rich’s “Basically Blues” and “Love for Sale” as well as numbers by Michael Buble, Ella Fitzgerald, Steely Dan and Maynard Ferguson. Come and be entertained by one of the swingingest bands in Perth who have not just one, but TWO fantastic vocalists! The wonderful Ms Cathy Mueller and, one of the brightest young talents to come out of the East side of the city, Mr Nicholas Trease. MD’d by the irrepressible Kieran Hurley (MtB, Straight Ahead Big Band, Perth Jazz Orchestra, Standard Jazz Band and many more) this gig is an absolute must see for all aficionado’s of Big Band and Vocal Jazz.